A picture is worth a thousand words, or so I am told, so I made a few screenshots of PrepTags. It should give you some idea of what PrepTags Pro looks like and how it work. 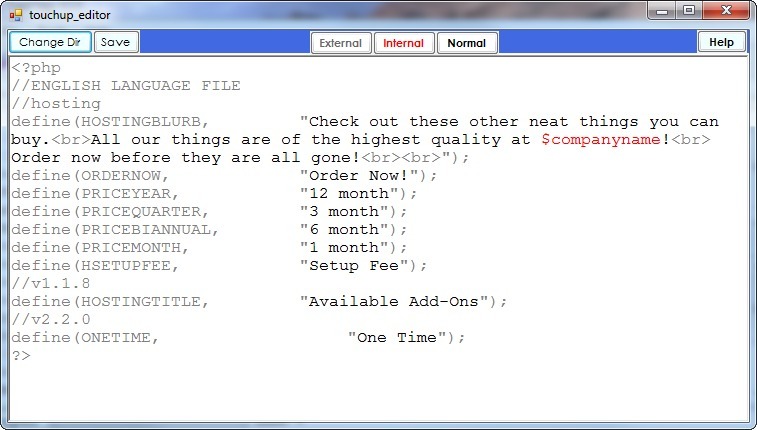 To find out more about it, check out the tutorial videos, or download PrepTags and give it a try. There is a free Lite version which you can use, albeit with limited functionality. Some of the Windows shown in the screenshots below are not available in the Lite version. 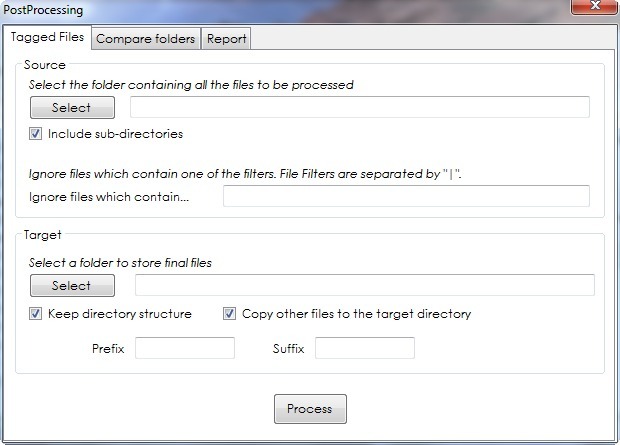 Files to be prepare are displayed on the left-hand side, and the taglist is shown on the right-hand side. 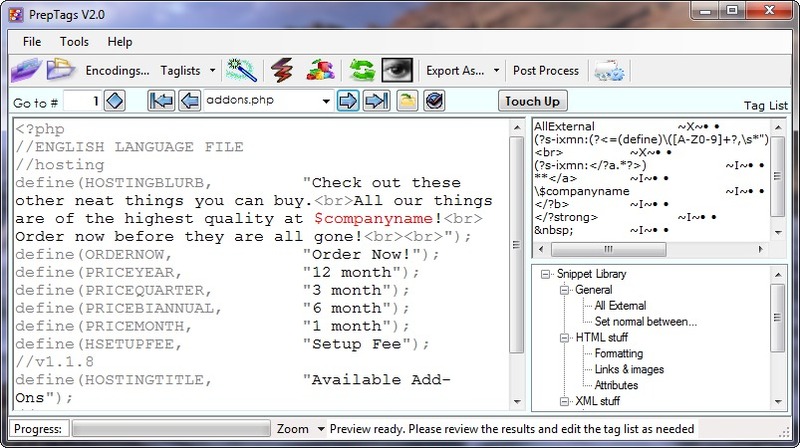 The Tag Designer helps you create your own taglists. 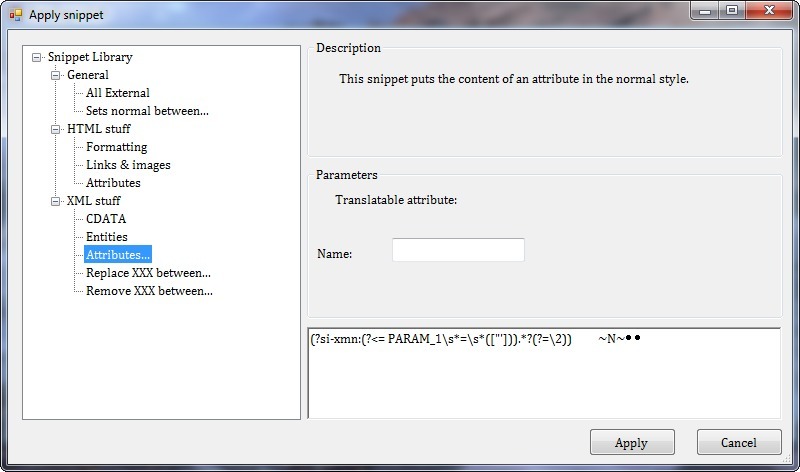 You can build advanced regular expressions to define exactly what should be translated and what shouldn't be. Things don't always go as planned, and sometimes, you need to add a few touches and fix up the rough edges. 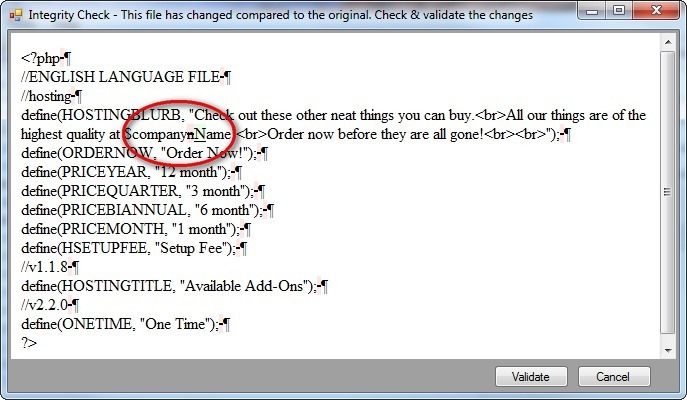 If the content of the file is changed in any way, an integrity check window allows you to review exactly what was changed, and to validate or cancel the exportation. Once the translation is completed, files have to be restored to their original format. It is also often necessary to perform a few house-keeping operations, such as adding a prefix or a suffix to translated files and saving them in a different folder. The Post Processing module allows you to convert all the translated files back into the original format. This feature is available *only* in PrepTags Pro. 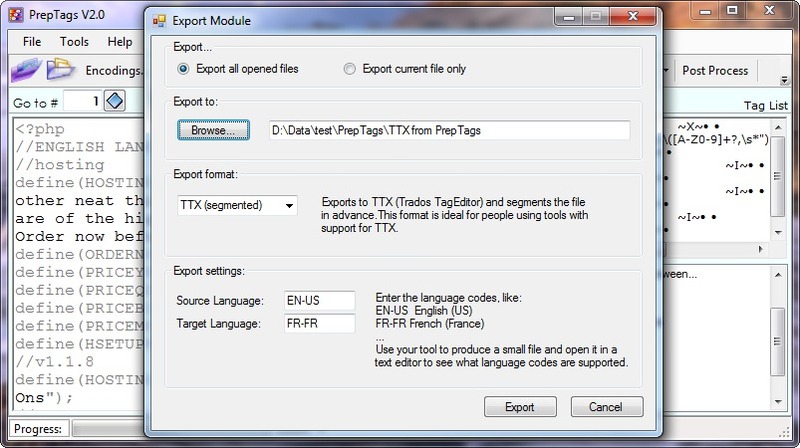 Using PrepTags v2.0, you can export files to a wide range of formats including tagged RTF, text & code, TTX (TagEditor's native format, both segmented and unsegmented), TXML (native Wordfast Pro format) and XLIFF. Prepare once, export to any format you like.